This was a truly superb book in my opinion. It had everything you could want from a post-apocalyptic novel, and then some! But John brought realness to the table in this fiction. There are elements of the supernatural, but it was the interactions and actions of humans that made this tale truly riveting and an epic page turner. We have Nathan, the protagonist, alive in a world that is bordering on extinction during the apocalypse. On his journey he keeps diaries as a form of keeping track of progress. Therein lies out entertainment. These entries are written very realistically. It’s as though a member of your family, or a friend could have written this diary. It details his trek in search of fellow survivors. But on this voyage he discovers conspiracies, hidden agendas, and how the true nature of people comes out when civilization breaks down. The true evils in this book are not the otherworldly phenomenon, they are what humans will do in order to survive. Some remain sane, morals and decency intact. Whereas others become minions of Satan as they pillage, loot, scavenge, steel and kill without a seconds hesitation. We experience first-hand the action, horror, fear, and heartbreak that Nathan endures. Not to mention that of the kind people he meets on the way. As he travels onward to his former home, he is fortunate enough to meet kind, selfless and caring individuals who guide and advise him in the right direction. Each character has motivations and reasons for carrying on in the chaos, some searching for loved ones, and some just trying to stay alive against the many threats this apocalypse has brought. It really is glued-to-the-page fiction that you’ll find hard to put down. Think you have read it all when it comes to apocalyptic fiction? Think again! This compelling tale delves much deeper and goes much further. 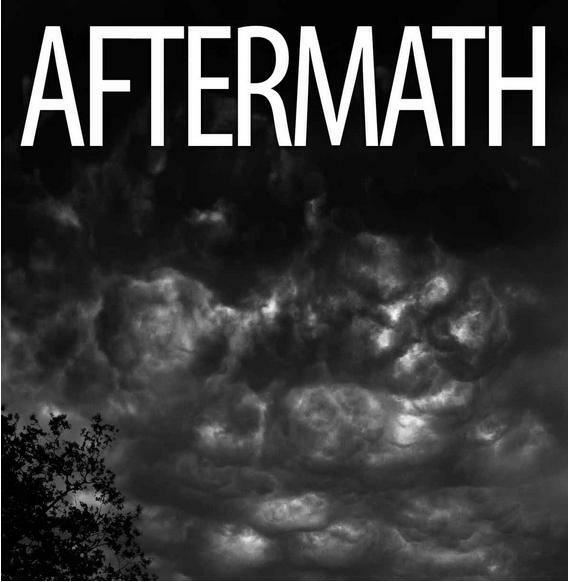 If it wasn’t for the vivid descriptions of the turmoil, you would forget about the apocalypse. The bold movements and actions of characters are primarily what you’ll focus on. Excellent characterizations also adds to the ‘page-turner’ factor. We don’t want a bunch of unbelievable, unrealistic characters parading around at the end of the world. We want to imagine these people as real individuals struck down in utter chaos. And that is exactly what John helps us picture. We form bonds with some people, and grow to hate others. We as the readers feel strong emotions towards the many folk detailed in this superb publication. Also, you get a real ‘end of the world’ feel. Mr Wilkinson takes time to explain things, taking us on the scenic route as he strolls through towns, cities and fields that have all bowed down to the corruption. Vivid descriptions bring the story to life. Sensations, emotions and scenery practically leap from the pages. But this doesn’t mean the pace can’t keep up. Because the flow and pace are handled with expert precision. The balance between people, places, actions and plot twists is excellent. Something I found quite endearing within this fiction, was how strangers can become great friends. In the devastation of an apocalypse total strangers become trusted companions on an incredible journey. Such a time also tests determination and humanity, how will such an event effect morality? But the ending to such a tale is crucial. How do you end an apocalypse story? Because the tale can be sensational, but if the ending fails, the book also fails. It is the last impression, the conclusion must be original and executed flawlessly. And I feel, it is. We are left with that sentimental, nostalgic feeling. The end to this journey, but the start to their new lives.